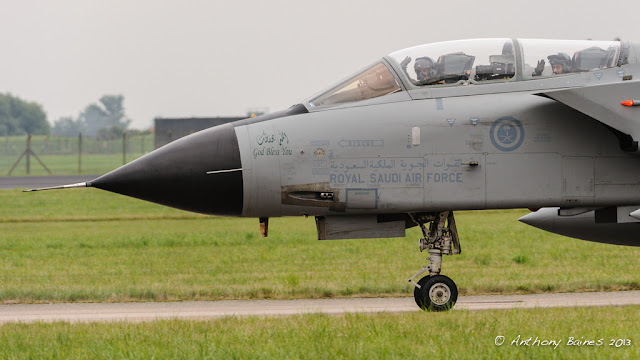 Saudi Tiffies and Tonkas: "God bless you"
I keep promising myself not to take any more pictures of aircraft against grey skies - and particularly not grey aircraft. But, sometimes, what can you do? The last couple of weeks have seen "Exercise Green Flag 2013". 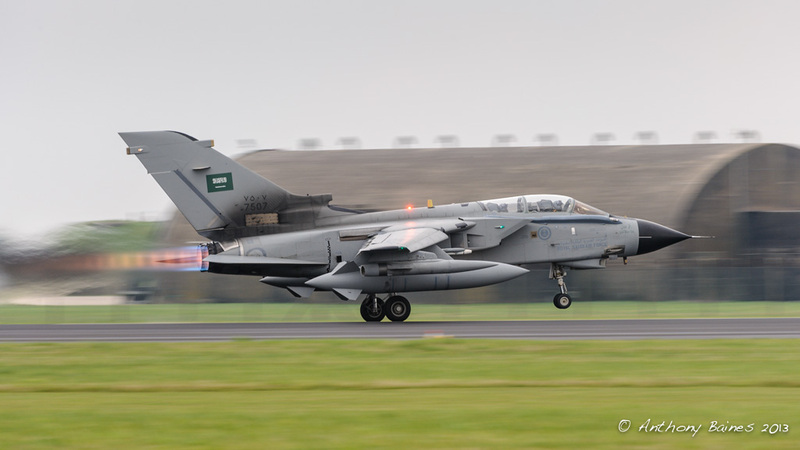 This has been an exercise where the Royal Saudi Arabian Air Force sent over some Typhoons and Tornadoes to work with the RAF. As soon as I heard this, I could not resist, and booked time off work. In the end, I only spent two sessions at Coningsby (where both nations' aircraft were based), a morning and an afternoon. My friend Graham (Flickr: NaCl1) also booked time for it and he very kindly pointed me at the best places for viewing. I've put a set on Flickr if you want see more pictures. It's the first time I've seem quite so many current aircraft launching at once -- multiple Typhoons and Tornadoes going off both morning and afternoon, and begin to return only an hour or so after takeoff. There was also a Falcon which, as I understand, it acts as an ECM aircraft. For me, the Saudis are a rare occurrence over here, and it was a pleasure to see them. The RAF themselves were extremely accommodating to the many visitors who wanted to take pictures, and were concerned to make sure that visitors had a safe and productive time. The aircrew themselves seem to be happy too -- they cheerfully waved at all the visitors, and even appeared to take pictures from the back seat. 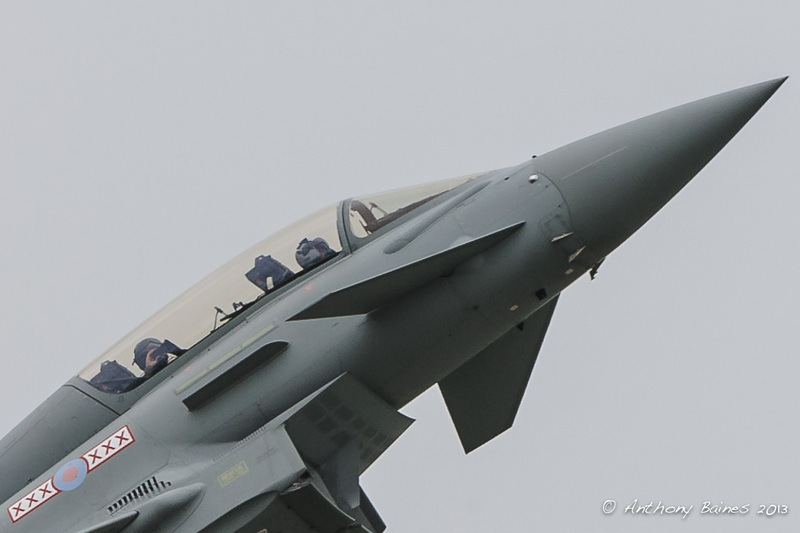 Backseater in RAF Typhoon (ZK380/BG 29 Sqn) appearing to photograph the visitors down below. 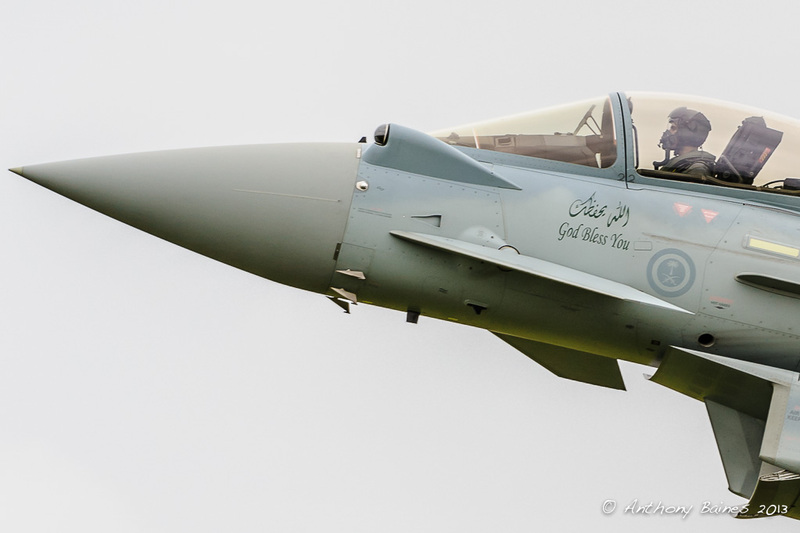 This is a >100% crop resized to show the backseater. 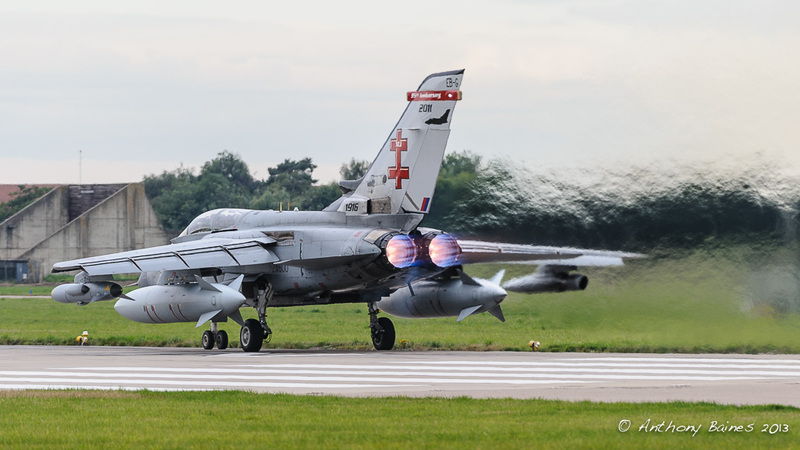 The aircraft was on a performance takeoff on full afterburner. I was amazed at the number of visitors from the continent -- Lincolnshire appeared to be an extension of Holland. 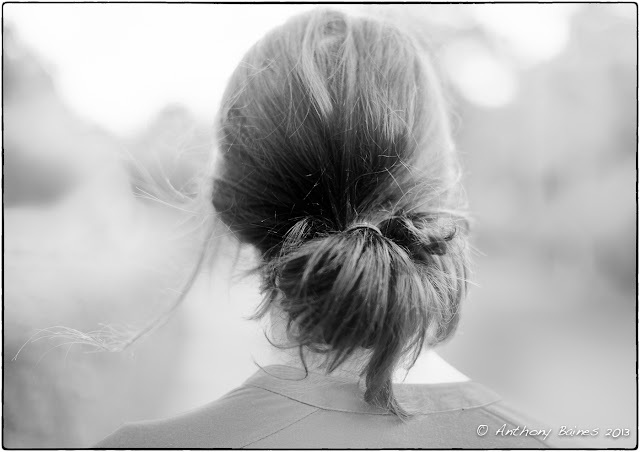 So - why am I posting a picture of the back of someone's head? I happened to be sitting down yesterday evening with a book of pictures by Saul Leiter. (He is one of my big influences.) It has been a while since I looked through this book, and I came again across his picture of 'Joanna' (1947). 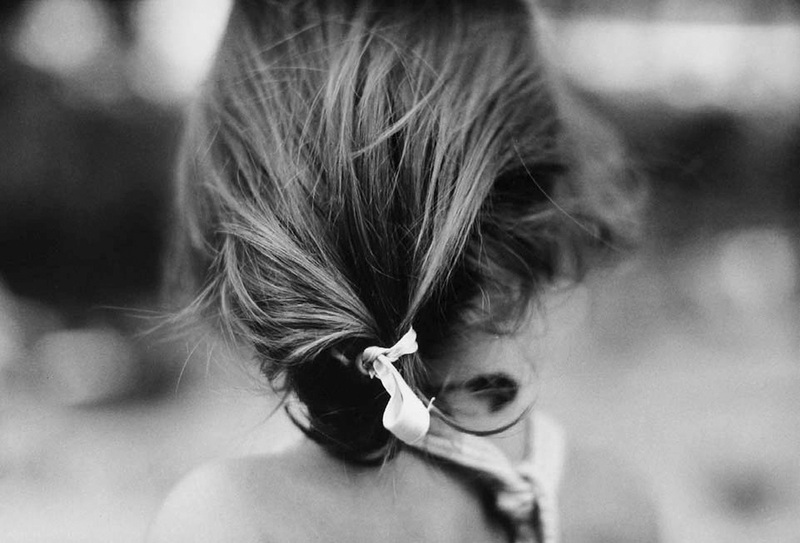 My daughter (who blogs under the name Gwendolen) happened to have her hair put up behind her head in a way that was reminiscent of Joanna when I saw the picture. So this morning, I couldn't resist. My daughter kindly posed for me outside for all of 30 seconds while I took four frames. Nikon D700 with 50mm f/1.4G lens, wide open at base ISO (200). Monochrome conversion in Silver Efex Pro 2, with just a little extra contrast in the hair by selective application of a curve. Gwendolen has just started her A level course, and has moved to different school from the one where she did her GCSEs. An early start last Thursday to take her and a friend to their new school. The car was dripping with dew, and the air had a definitely autumnal feel. The summer flowers are now mostly over, and after a wonderfully warm July and August the evenings are now much cooler. 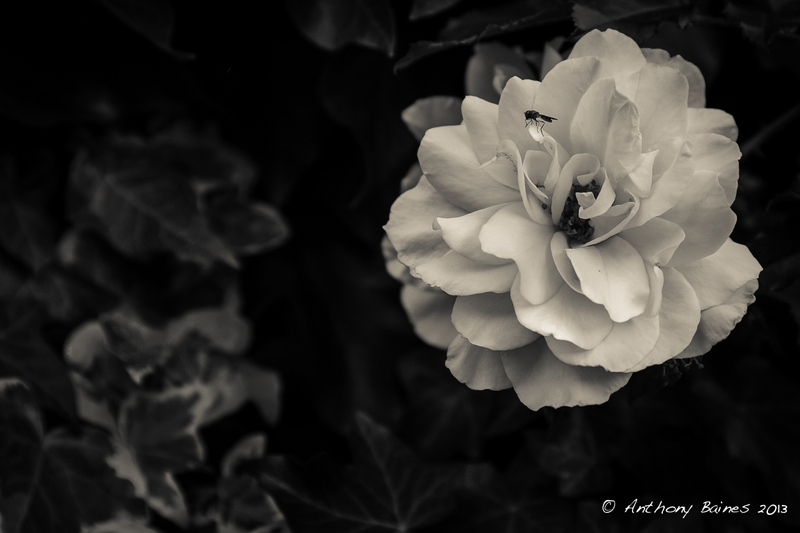 This rose in our garden caught my eye the other day - a quick picture before it too sheds its petals.